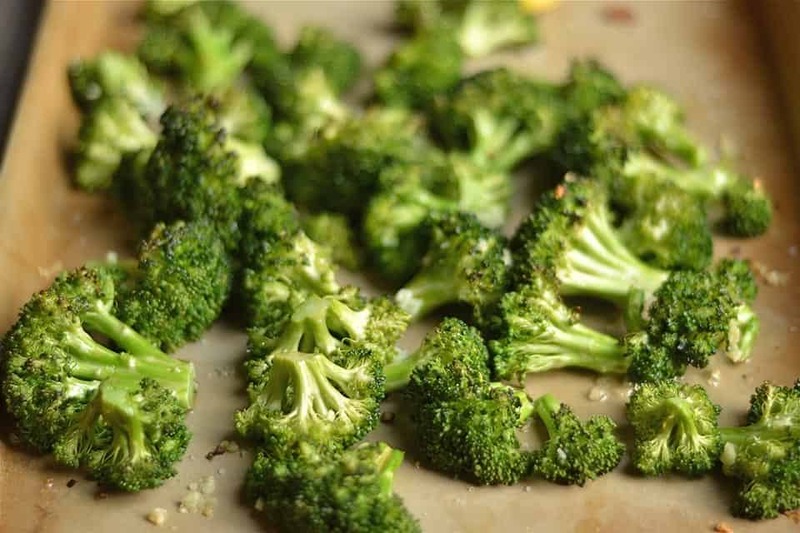 Roasted Broccoli with Garlic and Lemon is a simple and tasty way to gobble up your veggies. It makes an easy side dish that compliments any dinner! A real simple veggie side dish that should now be a part of your weekly dinners. I’ve been asked by several readers (I love getting requests!) 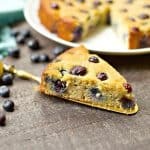 for easy ways to cook vegetables that are kid friendly. This easy broccoli is one that we pretty much eat every week, sometimes a few nights a week. 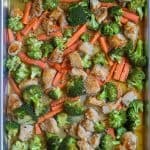 Broccoli is always on my shopping list as it is my husband’s favorite, but I also love that broccoli is the one vegetable my kids will eat in LARGE amounts. So what’s the secret to broccoli? I love the story my dad tells me about my grandmother (love her). She used to always feed her 6 children boiled vegetables; any vegetable you can think of was boiled. So my dad grew up thinking vegetables were mushy and tasteless. Lucky for him, he is a great cook and has found ways to enjoy vegetables. But I tell you this because I know many others do the same! Generally speaking, boiled vegetables are pretty gross. The best way to get your family to enjoy vegetables is to add flavor, some fat, and texture. Yes, I said fat. This is not a bad word in my house, fat just makes everything taste better. Not only that, but most fats are actually very good for our bodies. 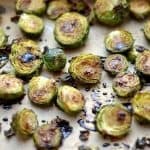 Texture is an easy one, oven roasting your veggies gives them a crispy coat. Finally, flavor. 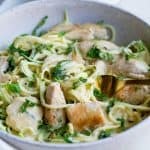 I added garlic, salt and lemon to this recipe. 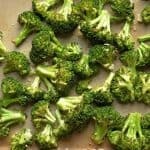 Simple flavors that work so nicely with crispy broccoli! Begin by giving your broccoli a rough chop. I like to use mostly just the head, and keep the pieces varying in sizes. Line a baking sheet with parchment paper or foil and spread out the broccoli. Mix olive oil and garlic in a small bowl. 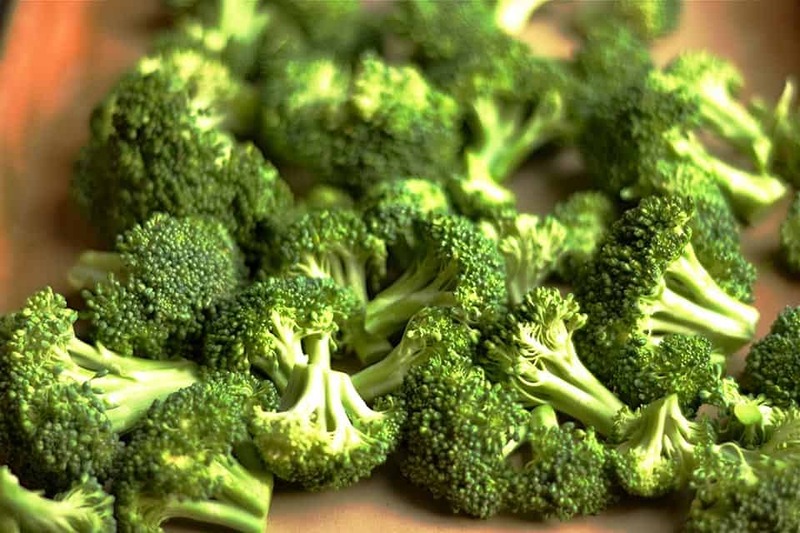 Lightly brush your broccoli with oil and garlic mixture. 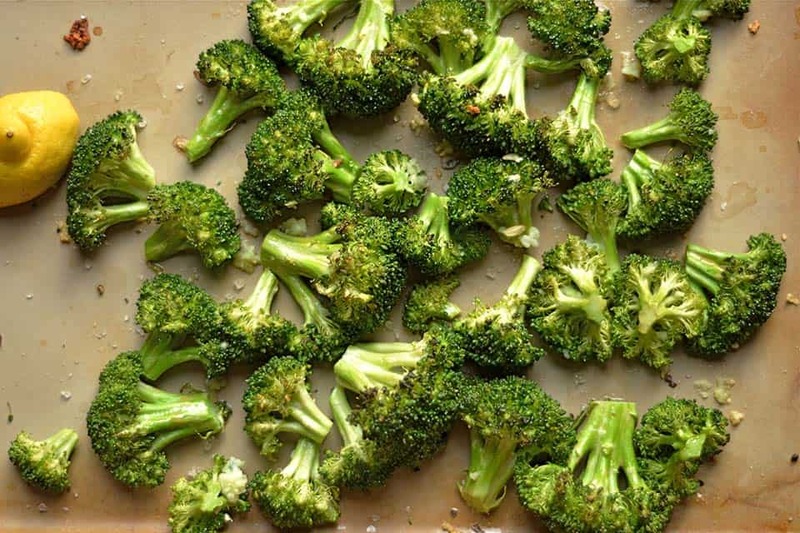 Salt your broccoli lightly, and place in the oven. Roast for 8 - 10 minutes until the edges are slightly browned, and broccoli is crispy. Remove from oven. Squeeze lemon juice and add more salt if needed. Serve hot. *I usually use 3 cloves of crushed garlic, but that makes the broccoli very garlic-y. You can tone it down to 2 cloves, or 1 large clove.